Is Winter the Right Time for a Dumpster Rental in Massachusetts? Whether you live in Boston or Rockport, there may come a time in your life when you need to rid yourself and your property of large amounts of unwanted material. If that’s the case, you’ve probably thought about your options. One of the choices you’ve probably considered to some extent is a Massachusetts dumpster rental. However, certain environmental factors may cause you to question the viability of such a strategy, especially given seasonal conditions like cold temperatures and the presence of snow. As such, you may be wondering whether winter is the right time for a dumpster rental in Massachusetts. Not to worry, though: you’re not the only person who has considered such a question. Massachusetts is home to a lot of different people, and many of them have found themselves in similar positions. From construction workers to home improvement practitioners, landscapers and event organizers, a vast number of different people have all considered winter dumpster rental in Massachusetts to remove junk from areas in their care. As such, there exist a variety of opinions on the subject, but there’s also a certain amount of consensus. The short answer is that winter dumpster rental in Massachusetts remains a reliable waste removal option for many people, despite certain seasonal challenges. If you know what to expect, you should be able to rent a dumpster in any season and succeed in removing waste from the site of your project. The biggest problem faced by people who want to rent a dumpster in Massachusetts during the winter is that winters throughout the state tend to be much harsher than they are in other parts of the United States. The average low temperature in January is only 22 degrees Fahrenheit, which is enough to be unpleasant for practically anybody, regardless of how thick their coats and gloves are. Temperature isn’t the only problem that winter brings with it, though. You can deal with the cold by making short trips to your dumpster by an indoor location and covering up (to some degree), but there are other things you’ll have to look out for too. Snow is common during Massachusetts winters, so you’ll have to factor it into your dumpster plans. For example, you don’t want to place your dumpster in an area you would normally use for piling snow after shoveling it off your driveway. In fact, placing your dumpster is one of the more important factors you’ll have to consider when you decide to rent one. You should have a space on your property that won’t interfere with regular winter maintenance duties. Another thing to think about is how quickly you want to be able to move your dumpster. Make sure it’s away from regular shoveling areas, but also make sure it isn’t likely to be surrounded by large amounts of snow during a storm. If large drifts block it, you may find it difficult to have it moved or lifted once the rental period has expired. Snow accumulating around your dumpster isn’t the only thing you’ll have to contend with when you rent a dumpster during the Massachusetts winter. You’ll also want to make sure that you think about how to prevent snow and ice from entering your dumpster and causing complications. One of the most common issues is when snow and ice increases your dumpster’s weight. If you have rented your dumpster from a company that charges you based on the weight of your dumpster when they pick it up, this can make your rental considerably more expensive. Many companies approach pricing this way, so don’t discount this potential inconvenience. There are several ways in which a renter might attempt to solve the problem of extra weight caused by snow and ice building up inside their dumpster. Some people simply choose to account for what they see as an inevitable extra cost of winter dumpster rental in snowy areas, but there are better ways. You might be able to prevent snow from falling inside of your dumpster by spreading a tarp over the top, but this can be a bit inconvenient if you are adding material to it over the course of several different trips. You might also be able to remove snow out of your dumpster, but you should make sure it’s safe before you climb inside with a shovel or blower. These solutions can also be somewhat labor intensive. However, there’s one more alternative that simplifies the process considerably. Companies like Junk King offer different pricing models than many of the other rental companies operating in Massachusetts. Instead of charging you based on the weight of your dumpster, we charge you based on the amount of space you use. This method means you can avoid extra charges as a result of weight for which you are not responsible. Whenever you’re renting anything, time is money. You want to make sure that you’re able to use your product for the entire duration of the rental period. Because you can’t easily move dumpsters, it is important that you manage to acquire and return yours without any delays. You don’t want to have your dumpster for less time than you wanted or find yourself being charged extra for time you didn’t need. Winter storms can wreak havoc with scheduling, even during the most routine and pedestrian tasks. Because a thick storm can make travel impossible, it is usually a mistake to assume that you will be able to stay on schedule during such an event. Instead, try to time your rentals for periods that are not likely to experience heavy snowfall. Look at the local forecast for your area, and try to set up your rentals so that you can have your dumpster picked up and dropped off during relatively clear periods. Junk King makes it easy to schedule your rentals during times that are unlikely to be affected by inclement weather. Our regular rental period for self-service dumpsters is three days. Once you decide to rent from us, you’ll be able to check the forecast for your area well in advance and find a period that avoids major weather events. If you need special considerations because of urgent projects or unavoidable events, our customer service also makes it easy to set up something that can accommodate you. There are many effective ways to deal with the difficulties that winter in Massachusetts presents to people renting dumpsters. You could do some extra legwork to make sure that the price of renting your dumpster isn’t affected unfairly by environmental factors like falling snow and ice, or you could rent with a company who charges you based on friendlier considerations. 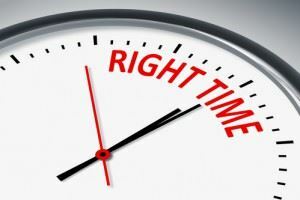 You’ll have to make the same choices around the timing of your rental: will you hope for the best when it comes to the weather, or prepare yourself in advance by using a company that lets you set a predictable schedule? At the end of the day, you’ll have to decide for yourself whether it’s worth renting a dumpster in the winter and how to deal with the attendant challenges if you do. Remember, though: in any season dumpster rental represents one of the most cost-effective ways to deal with large amounts of waste. Contact us for more information about dumpster rental in Boston. This entry was posted in Uncategorized and tagged junk haulers, Junk King, Junk King Removal on July 26, 2017 by Julian Torres, "JT". Last updated December 14, 2017 . Boston Dumpster Rental: When Should You Rent Your Own Dumpster in Boston?